How else can I use this leftover ham from Christmas dinner? I’ve made ham and cheese crescent rolls, pasta carbonara, mac’n’cheese with ham, and had ham and eggs–all dairy free of course. For breakfast today, let’s try a dairy free ham and cheese quiche. I have green beans, lettuce, and kale in the fridge. Kale wins! I made a wonderful gluten free pasta dish with it last night. I love having some extra time around Christmas to come up with delicious recipes. This year I tried out a couple dairy free cheesecakes and the final result was a delectable triple chocolate cheesecake that I need to post soon. Some other dairy free snacks we had for our Christmas feast were buffalo chicken dip with tortilla chips and onion dip made with Toffuti Better Than Sour Cream, served with pretzels. Both of these I am happy to announce were big hits among my dairy eating friends. I didn’t go all out this feast like I did for Thanksgiving; in fact, I felt like a horrible hostess. I was so tired this year that all I did was make the snacks and cheesecake. Eric made the ham on his own, and each guest brought a dish. I even forgot to make the crescent rolls I had bought (hence the ham and cheese crescent rolls above) and never served the coffee and hot chocolate. At least I can safely say everyone had enough champagne to drink. I proceeded to sleep in for three days after Christmas. This recipe calls for all of my favorite dairy free goodies. Silk Nog, the soy alternative to egg nog, is dairy and egg free, but it still contains the perfect blend of spices to flavor a good quiche. If you are looking for soy free, try SO Delicious Nog, which is made of coconut. I always recommend Silk Very Vanilla Soymilk to cook with if you choose something else. You can find these items at your local grocery store. 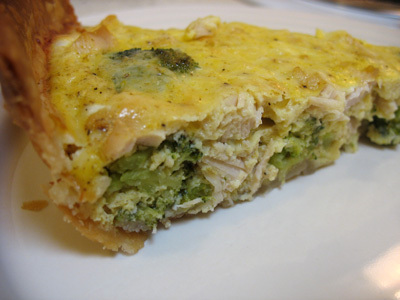 Daiya Chedder Style Shreds are a key ingredient in my buffalo chicken dip, as well as this quiche. Daiya is a soy and dairy free cheese alternative made from tapioca. I usually find it at Whole Foods. 1. Let the pie crust sit out to adjust to room temperature for at least 15 minutes, then mold it into a 9inch pie dish. Preheat oven to 375 degrees Fahrenheit. 2. In a large heated skillet, add olive oil, onions, kale, 1/4 teaspoons of salt and pepper, and onion powder. Cook over medium heat until onions and kale are tender, about five minutes. 3. Beat the eggs in a medium bowl, then add Silk Nog, curry powder, salt, and pepper and whisk until blended. 4. 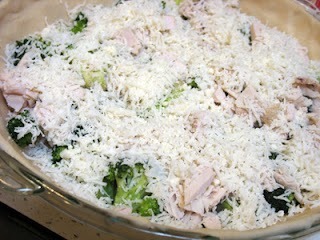 Layer the ingredients into the pie dish in this order: ham, onion and kale mixture, and shredded cheese alternative. 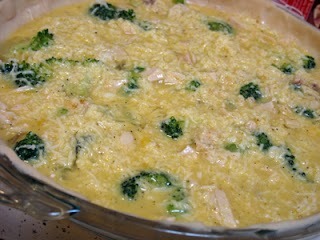 Pour the egg mixture over the top so that all ingredients are evenly covered. 5. Bake for 40 minutes or until center of the quiche is cooked through. Hopefully the ham is all used up! We had a ton of leftovers from our 23 lb. turkey this Thanksgiving, so I was coming up with ways to eat it for breakfast, lunch, and dinner. A quiche is a great breakfast opportunity to use up leftover turkey, but lactose intolerant and quiche usually don’t go together that well. 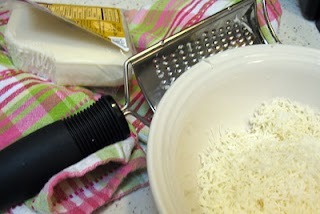 I replaced the heavy cream and cheese with shredded soy mozzarella, a sprinkle of Parmesan, and, of all things, Silk Nog. Now, before you go wondering how any of these ingredients can possibly go together, you should know that the result was absolutely divine. My husband and I devoured this entire 9inch quiche in less than two days. You don’t have to use the Nog, which is an eggnog alternative, you can use Lactaid Milk or Lactaid Half and Half (if you can find it), or Almond Milk or Soymilk instead. But if you do see the Silk Nog, give it a try. It has a beautiful blend of spices in it already that tastes great with an egg dish! A perfect Thanksgiving leftovers treat for the person in your family that can’t digest dairy. 1. Let the pie crust sit out to adjust to room temperature for at least 15 minutes. Mold it into a 9inch pie dish. 2. 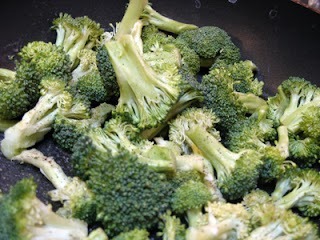 Melt 1 tablespoon of buttery spread in a large pan and add the broccoli, onion powder, and a dash of black pepper, cooking over medium heat until just tender and it becomes a bright green color. 3. Beat the eggs in a medium bowl, then add 1 cup of Silk Nog, salt, pepper, and curry powder and whisk together until blended. 4. 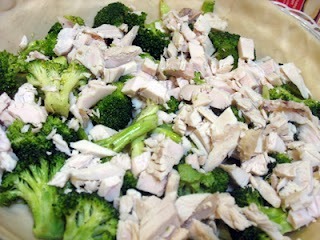 Add the ingredients to the pie in this order: cooked broccoli, chopped turkey, shredded soy mozzarella cheese, Parmesan cheese. Then, pour the egg mixture evenly over these ingredients. Spread the mixture so that all the ingredients are evenly covered. 5. 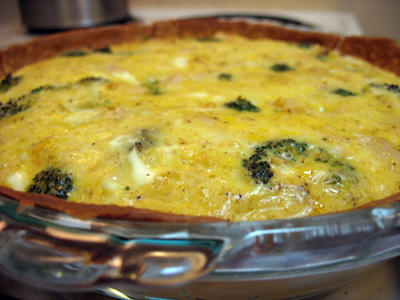 Bake at 375 degrees Fahrenheit for 40 minutes, until the center of the quiche is completely cooked through. Goes well with a steaming cup of pumpkin spice coffee. Happy Black Friday!